Congratulations to Ceili Moore from the Fiona-Gaye Moore School on her 2nd Place at th World Championships in Boston this Easter, well done Ceili. Advertise or just send a hello in the NSW State Program - click here for more info. 18 Yrs: Peter O'Gorman (Walton). 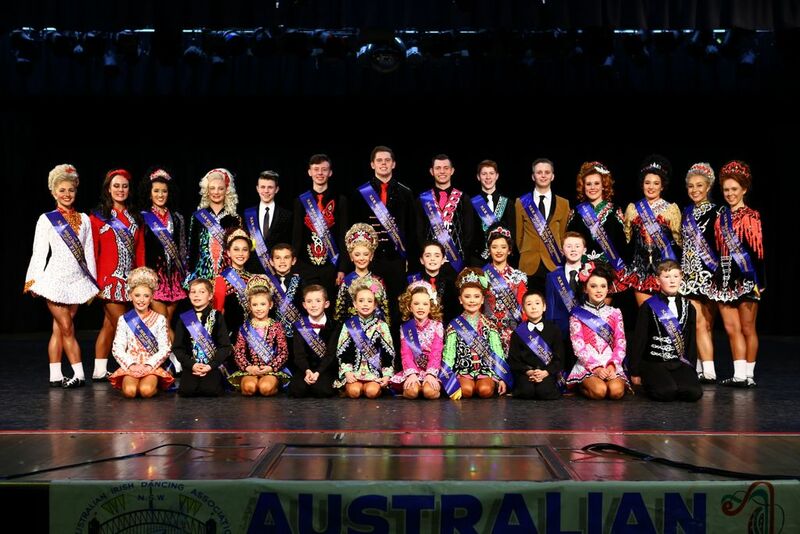 Congratulations to all our Australian dancers who competed in Glasgow this year. Benefit Night a Great Success! Thanks to all who came to the Benefit night and bid on some great items. Pauline Henshaw won the raffle and heaps of fun was had by all. Thanks to those from the wider Irish community who heard about the event and came to have a brilliant night and meet the Irish Dancing community up close and personal. Thanks to the Lil's Mates dancing troupe who kicked and clicked up a storm. Money raised went towards meeting costs and expenses involved with Lily's passing in October last year. Anne and Jennifer Claro Benefit Night - 3 Feb 07 - 7:00pm till midnight. A Benefit Night has been organised by friends of Anne and Jennifer Claro. 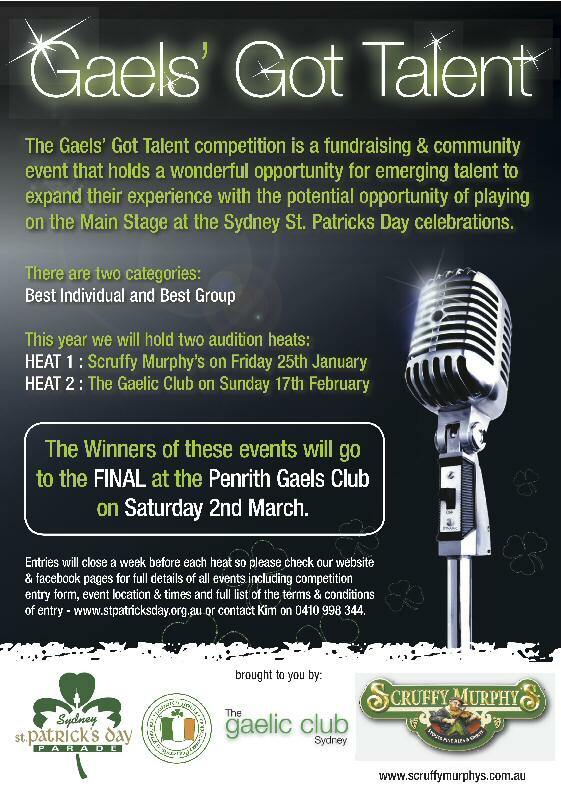 It will be on Saturday 3 February 2007 at Penrith Gaels Club Corner Glebe Place & Phillip Street Kingswood NSW 2747. It is going to be a rollicking good time with entertainment by Shaylee Wilde and the Lads, Jimmy Moore band and special guests. There will be an Irish Dancing extravaganza by senior dancers, an auction of very special items and a raffle! It promises to be a wonderful night of fun and entertainment! Admission is 20 dollars. Tickets available from the club or at the door on the night. For more information ring Maggie Doyle on 0438 987472. If you didn't get a chance to attend Lily's service or you are one of the many well-wishers from overseas, here is a little coverage for you all. For those who need to say a quiet goodbye to Lily, there will be an opportunity at White Lady Funerals Eastwood on Friday night from 5:30pm. Lily's funeral will be on Saturday 28th October at St Michael's Church Meadowbank, Maxim Street at 9.30am. Lily was a vivacious 'out there' girl and we'd like to celebrate Lily's life by everyone wearing bright colours. Nothing sombre. If you'd like to bring your favourite picture of Lily to put up on the board on the day, please do. Following the funeral and burial, there will be a wake at The Ryde Eastwood Leagues Club, Ryedale Road West Ryde (opposite station) approximately 12.30pm. All welcome. Please contact Maggie Doyle on 0438 987 472 for further info. Please be advised that Milton Baar and a friend have been asked to record the funeral by Anne and Jennifer. They have also requested that any dancer who wishes to wear her costume would be most welcome. It is asked if girls in costume could assemble at the back of the church and not occupy pews which will be required for older guests. It is with great sadness that I report the death of Elizabeth Claro - Lily to her friends. Lily passed away at her home on 19 October. Lily is the Australian 17 years Irish Dancing Champion and was a brilliant dancer with the most wonderful feet that ever put on soft shoes. Lily is mourned by not only her mother Anne and older sister Jennifer, but all who came in contact with her. She was the most vivacious of girls and would always be the focus in any room she entered. With a wicked sense of humour and the quickest of wits she was admired by all. She will be sorely missed by her classmates at the Halloran School. Good Luck to the nearly 30 Australian Dancers going to the North American Championships in San Diego. Congratulations to Nicole Zepcevski (21 and Over) and Shaun Higgins (19 and Under). Both World Champions in Belfast 2006. Leanne Halloran and Darren Yates became the proud parents of Ryan Jackson Kenneth Yates. AIDA Web site up and running at www.aidainc.com. First few comps under our belts for the year. Didn't the subbies look lovely with their fresh little faces with no lippy. There have been some changes to the competition schedule. The AIDA reserve comp is now on the 19th and 20th March instead of the weekend before. The new AIDA site will be up soon with all sorts of information to clarify some of the rumours that fly around our message boards. The Claddagh feis will be back at the Uruguayan Soccer Club again this year - both the beginners in April and the Open in July. I can smell the coffee already. Entry forms for the Trinity Feis out now - see comps page. Tell me if I've missed any. Competition season in full swing. The INDA, the AIDA, Central Coast, Gold Coast and the Winter Solstice. Our wallets are reeling too. Some photos up for Winter Solstice. Debuntante Ball was a big success. Lots of hard work put in. Everyone was very elegant. Please be on the look out for two dresses stolen from Siopa Rince in Dublin. Deb Practice 6pm at Beverly Hills PS Sun 2nd May. Practice for the Debutante Ball are on Sunday nights 6 - 7. Still time to grab a partner and come along. Debs must be over 15 years by May 2004. New Dance School in Sydney operating in Glenfield and Alfords Point (Menai). The McGlinchy school is run by Amy McGlinchy, a very talented ex-student of Donna and Leanne Halloran. Registered with the AIDA.Call Amy on 9734 6553. The Ku-ring-gai Academy now has a web site. I was given this by Kevin Doyle who is asking the whole ID community to have some fun down in Jindabyne. From all over Australia, Ireland and New Zealand. Accommodation readily available in Jindabyne. The Chase Academy on the Gold Coast have their Christmas Feis on 6,7 Dec. Have a holiday. I'm staying in Perth for a holiday so don't expect to see the results up in a hurry. If you would like to help me do it fast when I get back can you send your sections results to me in the three column table in Word format. The AIDA will be holding a Beginners and Primary Feis on 10 August. With an International Judge! (NSW is just showing off now. lol) Entry forms available from your teacher. Irish Names and how to pronounce them. A new link lets you hear Frank McCourt pronouncing them for you. For Anne and Marilyn - those recipes I promised you. More unpronounceable Irish Names added to my list for anybody who ever holds a microphone at a comp. Winter Solstice entry form available. Well done to the Aussies that went to the Worlds. So many places and recalls!!! Some changes to the March calendar. Please check. Happy New Year! A basic feis calendar is up on the competitions page for those of you who like to plan ahead. Miss Donna of the Halloran School is getting married this month, congratulations! Four Provinces Feis is over and that's it for the year. Good luck in your Christmas Concerts and keep practicing in the holidays or there will be tears in February!!! October 2002 - Entry form for the Tri Quetra Feis (3 November) Beginners to Elementary (pronounced try-KET-ra, Latin for "three cornered" like the celtic knot.). May 2002 - AIDA graded Comp Timetable (1st and 2nd June ) is available on my competition page. - Canberra Feis Timetable is available on my competition page. Jan 2002 - Some Competition dates are up. Jan 2002 - Happy New Year and hello to all those dancers who are going to the world. We'll think of you practicing hard while we are at the beach. Haven't got any firm dates for comps yet but they'll be up as soon as I can get them. November 2001 - Thought it might be nice for people to know what everyone looks like. If you would like your photo linked to the Adelaide results, send a .jpg photo of you in Adelaide no bigger than 100K. October 2001 - Wow ! Was that the coldest Australian ever!! Adelaide shops did a booming business in singlets and jumpers. Well done to all dancers! A lot of hard work went into every single entry, to even get there these days you are a winner! October 2001 New Competition on Central Coast in November - Application form here. September 26th - Updates to dressmakers and adult classes. September 8th - Revised Timetable for Nationals out. Print out your own copy. August 2001 Results for the State Championships are up. July 2001 - Malou Ellis is now selling her Inishfree soft and hard shoes from her home - see the "Buying Shoes"
June 2001 - NSW State Championships 4-6 August. Entries have now closed. Teams are on the same weekend. March 2001- I've added a section about set dances to Life after Beginners. It has whether they are jigs or hornpipes. Feb 2001 - St Patricks Day Competition and the Reserve Championship entries have closed. Entry forms for the Beginners Claddagh feis are out there with your teachers. A new trader in shoes and socks has started up in Victoria, but he does mail order. See the shoes section. Jan 2001 - There is an Irish Dancing Dress in the Window at Spotlight Bankstown made from the Simplicity Pattern 9131. It looks great. Somebody wrote to say there is a book of Irish Dancing Costume Iron on Transfers by Courtney Davis available on the internet via Amazon.co.uk. Jan 2001 - Latest on Australian Championships in Adelaide. All info on accommodation, discount flights and syllabus changes. Dec 2000 - How to pronounce Irish names. Read that program with new confidence that you're not going to embarrass yourself!!! They will be run from 2-7 Oct, at ETSA Park, the official hotel is the Stamford Plaza. Dec 2000- Always wanted to know how the scoring worked? - I've written out a guide to Championship Scoring. It might take you all the holidays to figure it out. Please send any others to fill in the blanks. Irish Shopping Online at CelticLinks.com. Unusual gifts and collectables, sportswear, dancewear and music. Have a look, hundreds of gift ideas. JUNE 2000 Claddagh Feis Upgrades = Check out who's in Open now. Worlds! - They're over and a nice overview can be seen at Riverdance but unless you've applied for a backstage pass you can't get into the "exclusive" area to see the photos. But if you look carefully most of them are of Aussie Kristen Knox who came 6th in the Ladies. If you want to see the photos of the prizegiving, they are on my photo gallery. New! Some lovely ideas for medals to stop them getting lost. No need for shoe boxes any more, have a look. The Venue has been finalised. Hinchinbrook Soccer Club, same as last year. It's Sun and Mon on the June long weekend. Int and Open only. All sections now have beautiful perpetual trophies, so start practicing. Inspite of not being winter or the Solstice, everyone had a great time. Great Venue and on time!!!! Here is the tentative timetable for the Australians on the Gold Coast. Things may change. Feb 00 - New info on making your own dress. New Simplicity pattern and where to get embroidery designs. Jan 00 - From this year the Australian ID Assoc has introduced an new dance level called Elementary. Jan 00 - Finally changed my photos, thanks to people who sent them. 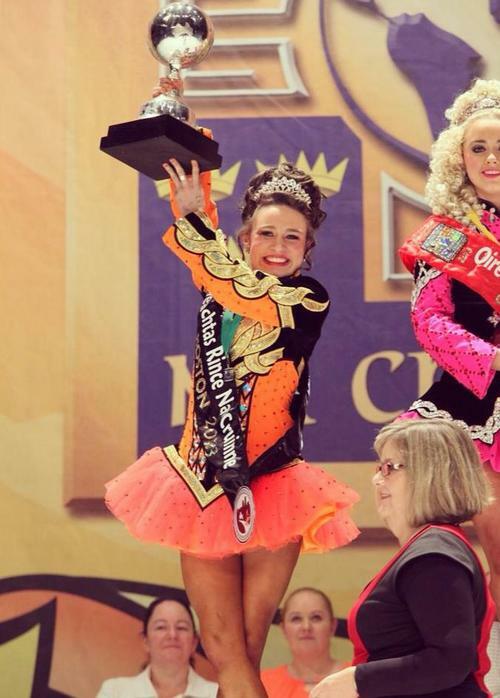 The Australian Irish Dancing Association has launched it's new web site. It's got free classifieds, a photo gallery, and State by State information. It also has a message board for discussions. I now have a Results Page where you can go to see old results from past competitions without having to dig out all your old programs.